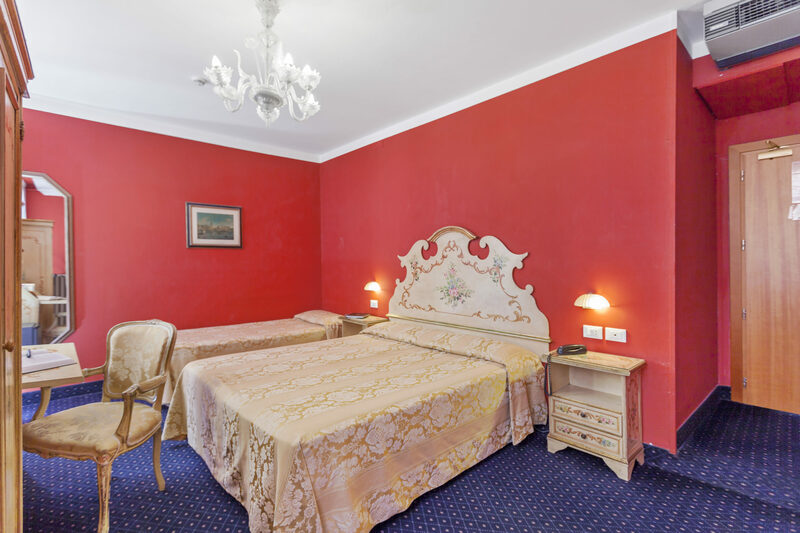 The 3 stars Hotel Malibran rooms are furnished with original Venetian style furniture, some rooms with wooden floor, Murano glass chandeliers and antique mirrors overlooking the famous Teatro Malibran. 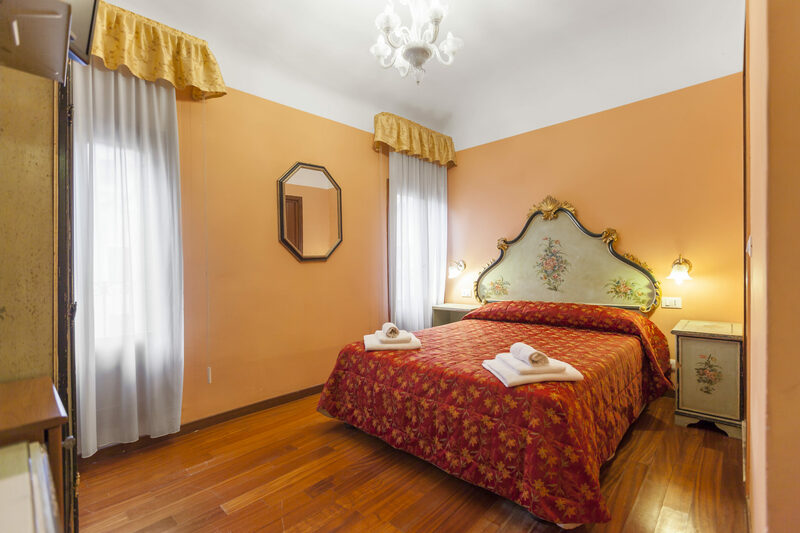 Equipped with all the comforts, the Hotel Malibran single room is made for one person, in pure Venetian style, 10 square meters,its windows overlook on the campo or on the sides alleys. 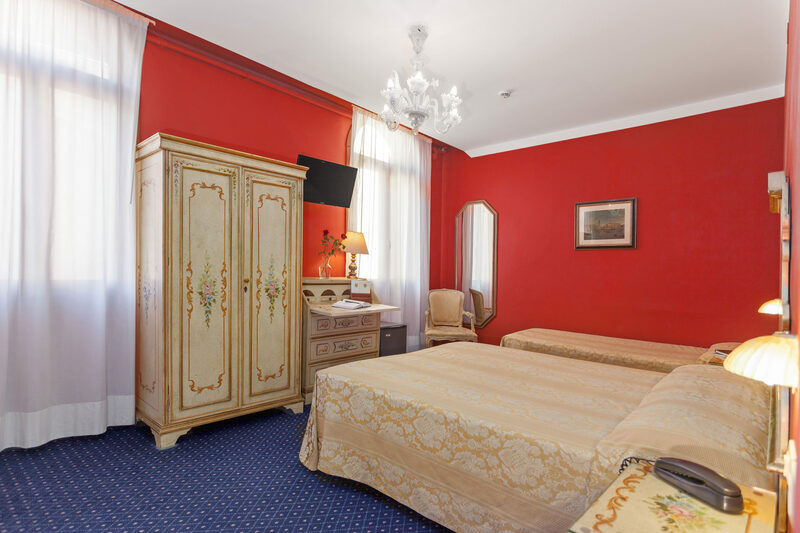 Elegant double or single beds room, in typical Venetian style with Murano Glass chandelier, the standard room is 16 square meters,equipped with all the comforts and overlooking on the main alley or on the Teatro Malibran. 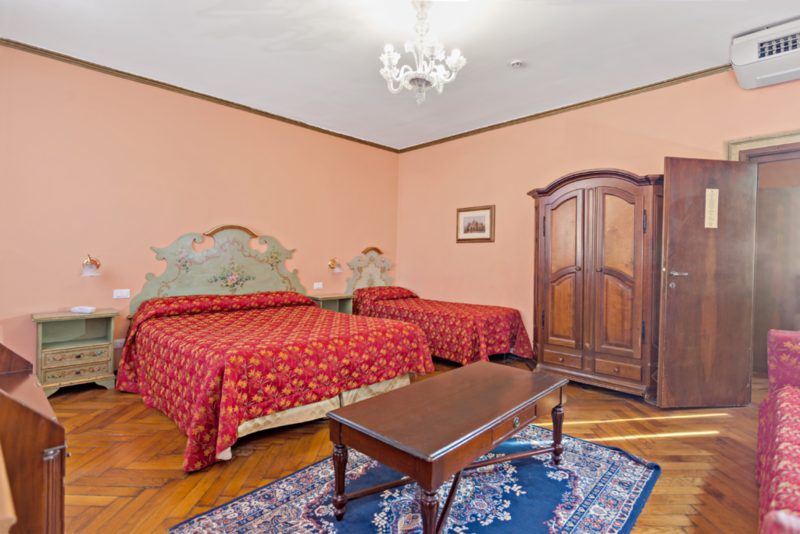 The Superior double or single beds rooms of the Hotel Malibran are the right choice as the beginning of your trip in Venice, in 1700 style, with Murano Glass chandeliers and antique mirrors, equipped with all comforts, overlooking on the famous Teatro Malibran or on the side alleys. In Venetian style, the spacious triple rooms, 20 square meters, are made to accommodate 3 guests, with furniture and chadeliers in Venetian style, equipped with every comforts in order to make you stay as enjoyable as possible. 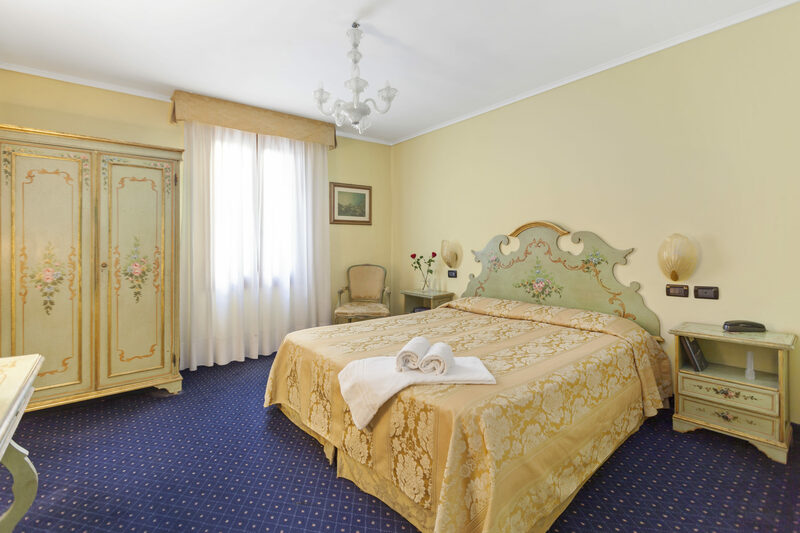 The Hotel Malibran family rooms or quadruple rooms can accommodate until 4 people, in pure 18th Century style, with carpets and Murano Glass chandeliers. They are equipped with all comforts, overlooking the Teatro Malibran Square or on the side alleys. The size is 22 square meters. The spacious Hotel Malibran Junior Suites are made for those who choose comfort and elegance, the furniture is antique Venetian style, Murano Glass chandeliers, carpets and every comforts. These Junior Suites bright, elegant and refine contain the whole charme of the venetian experience. All the rooms face the Malibran Theatre and are equipped with all the comforts. Sat Tv, Safe, outside and inside line telephone, minibar and split air conditioning system and heating control. Check in at Hotel Malibran desk, the staff will be glad to make your stay as pleasant as possible.